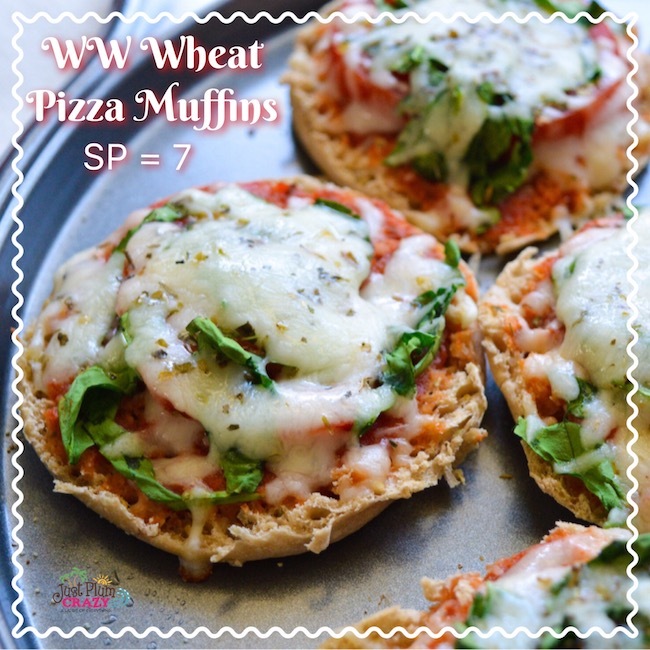 The Weight Watchers Wheat Pizza Muffins Recipe is brought to you by Just Plum Crazy. With summer and bikini season quickly approaching, who isn’t trying to slim down and lose a couple pounds? I have recently joined Weight Watchers (again) so I am trying to stick to it without depriving myself. 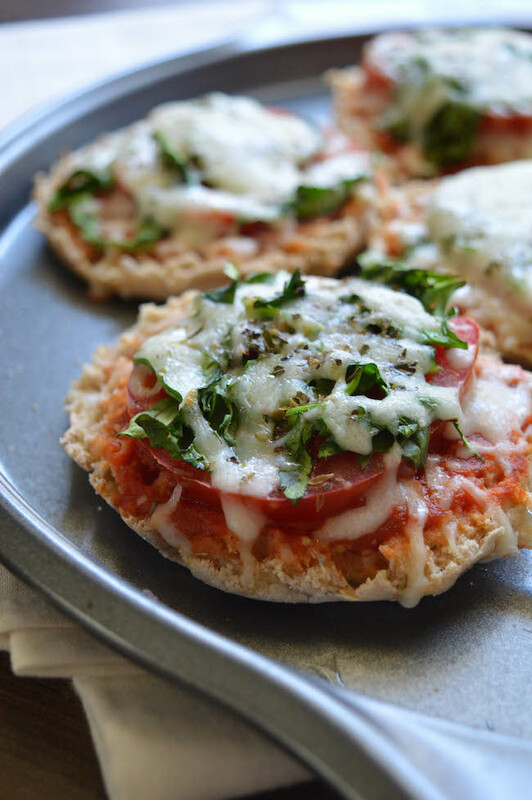 The Weight Watchers Wheat Pizza Muffins recipe saves on calories but satisfies my pizza cravings. Having worked in the restaurant industry for 30+ years as well as having my own snack bar, there are a ton of recipes that I love to make, but that need to be lightened up. The Wheat Pizza Muffins recipe is also a family favorite because who wants to make two different meals? Not I! 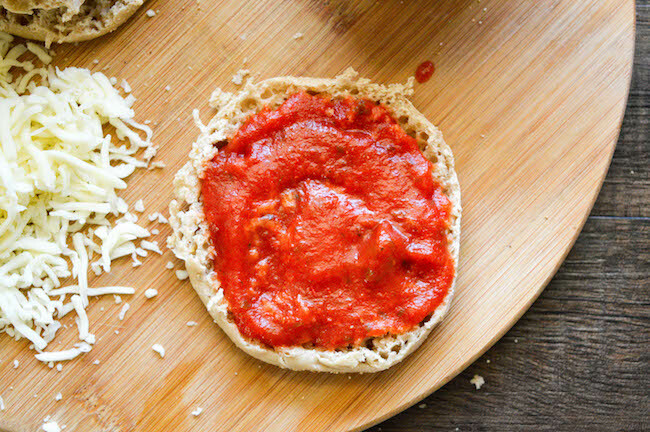 1 cup of pizza sauce (or more as desired) (SP – 3 per half cup) You can use regular Prego spaghetti sauce if you’d like for only 2 SP. 2. 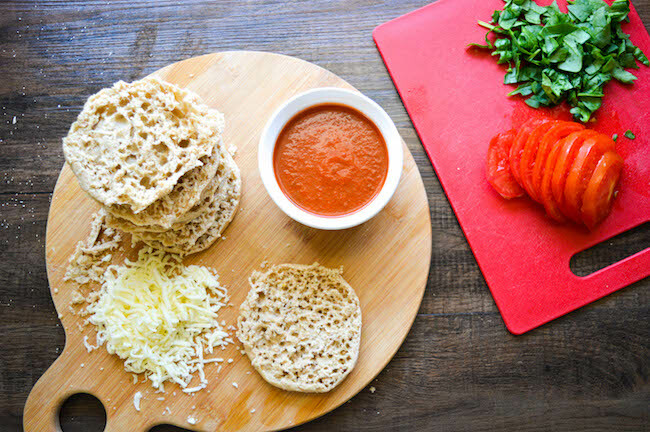 On each slice of english muffins, add 3-4 teaspoons of pizza sauce, layer with a tomato slice, then layer with one or teaspoons of spinach, top with a layer of 2-3 teaspoons of cheese. If desired, sprinkle a pinch of basil and oregano to each pizza. 3. 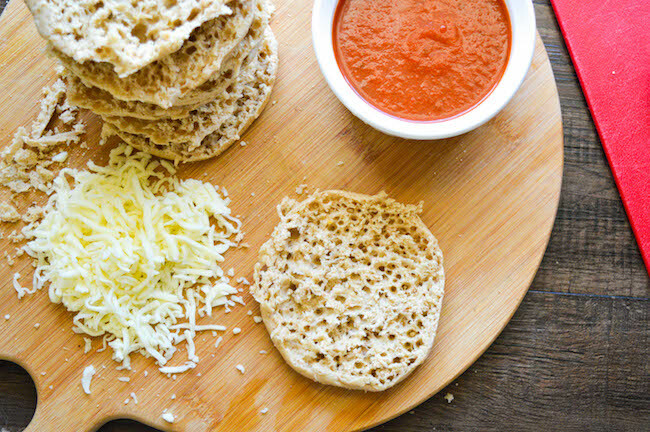 Place pizza muffins on a non greased baking pan and put in the oven for 7 minutes, or until cheese melts. 1 cup of pizza sauce or more as desired (SP - 3 per half cup) You can use regular Prego spaghetti sauce if you'd like for only 2 SP. 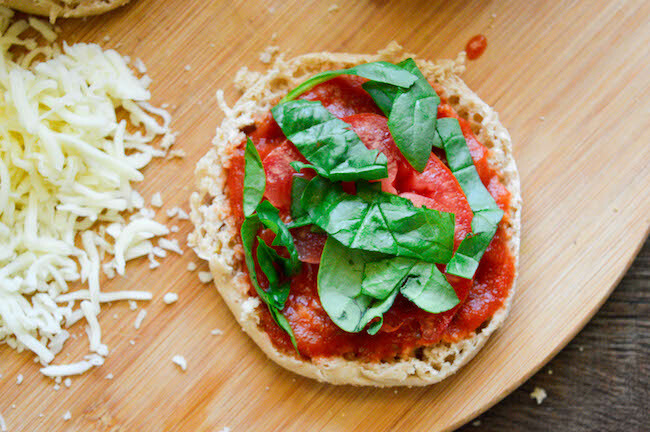 On each slice of english muffins, add 1/4 cup of pizza sauce, layer with a tomato slice, then layer with one or teaspoons of spinach, top with a layer of 1/4 cup of cheese. 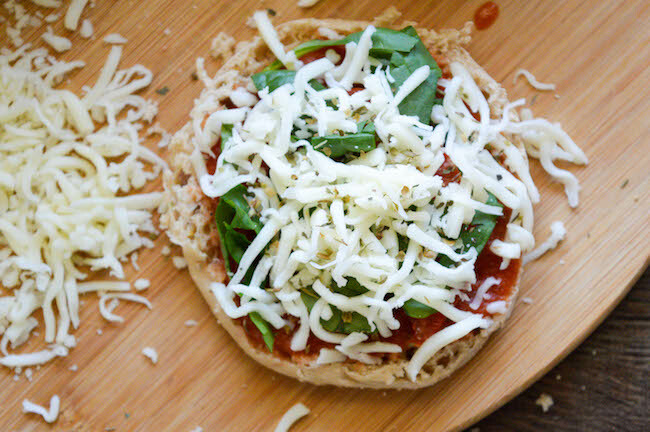 If desired, sprinkle a pinch of basil and oregano to each pizza. 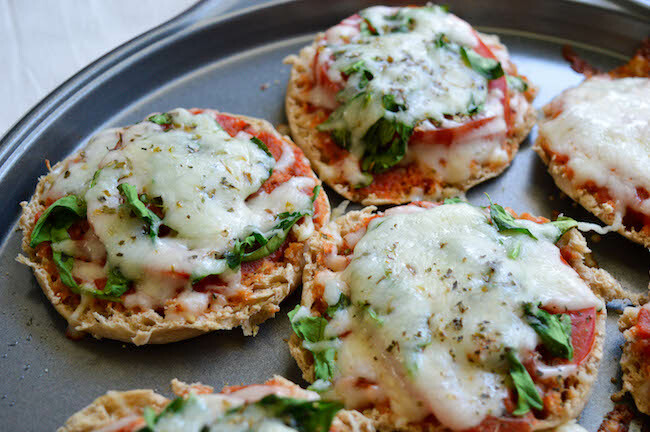 Place pizza muffins on a non greased baking pan and put in the oven for 7 minutes, or until cheese melts. 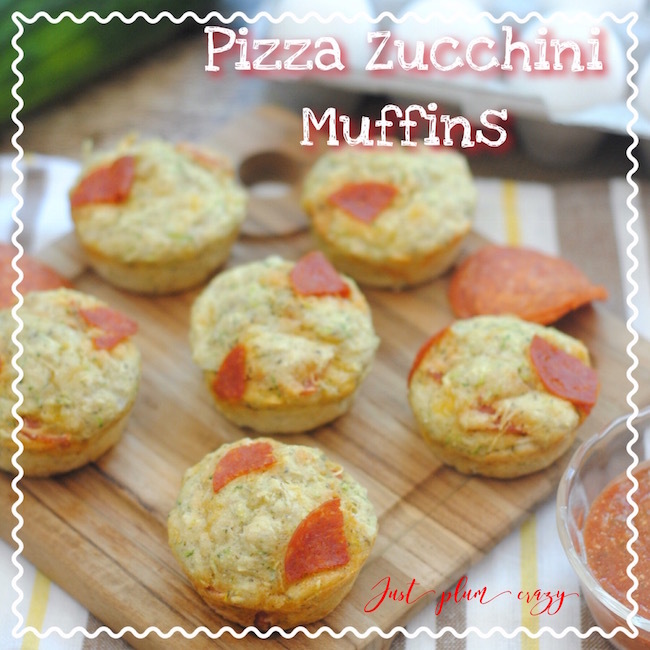 Be sure to check out our 3 Cheese Pizza Zucchini Muffins recipe that can also be lightened up if you wish. These look yummy and a much healthier alternative. Thank you for sharing at Merry Monday! 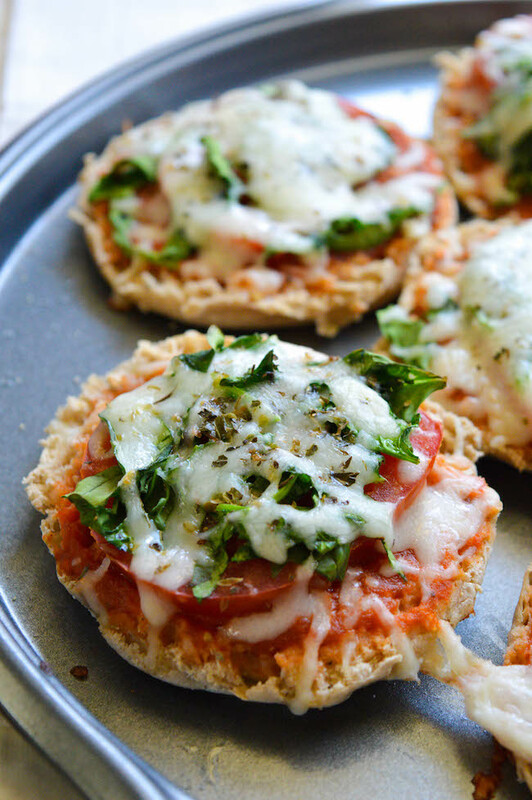 Your Wheat Pizza Muffins look awesome! Hope you are having a fantastic week and thanks so much for sharing with us at Full Plate Thursday. We will look forward to seeing you again real soon! Oh yum. These would be great for a snack for my teen too.